Terrible! Terrible! Awful! Awful! Awful! I love movies so much that I am not just thankful for the good ones—that’s easy, because good movies are wonderfully entertaining and enrich my life—I am also thankful for the bad ones. Loving good movies gives us lots of movies to love. Loving bad movies gives us TWICE the movies to love. Maybe more. Allow me to explain. I love The Godfather. It is one of the greatest American films of all time. It is wonderfully written, directed, and acted. It is the involving story of a father handing over the family business to his sons. It draws parallels between organized crime and unregulated capitalism. It convincingly shows an Italian-American family and gets all of the little details right. 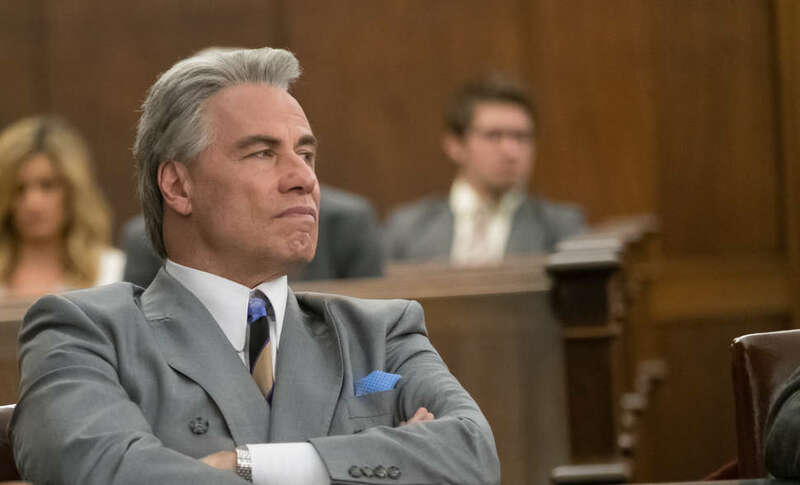 I love The Godfather, but I also love the recent movie Gotti. Allow me to explain. Gotti is one of the worst films I’ve ever seen. Its script is a mess. Its direction is subpar. The performances are a bouillabaisse of acting styles, from scenery chewing to mumbling cyphers. The narrative makes so little sense that one would be hard pressed, based on the evidence in the film, to explain how these characters earn their living—it seems to involve dressing up, driving to each other’s two-flats, drinking coffee, and yelling. Yet Adam Riske loved Gotti; he called it “great fun.” I love Adam Riske; he’s a great guy and a great friend. I would certainly rather listen to Adam talk about how much he loved Gotti… than to ever watch Gotti again. Adam is very entertaining to watch and listen to (unlike Gotti) and when he talks about film, he always has a point (unlike Gotti). I don’t limit my movie love to only movies that work for ME. We have some laughs, and nobody punches the other guy. Also, talking about Gotti and not punching anyone is proof that my medication is working. Isn’t that a better way to live your life? Once on the podcast I described something as “delicious, delicious cheese,” and this phrase struck a note with some of our listeners. You cannot subsist on a diet of gourmet escargot; it would get boring night after night and quite possibly prohibitively expensive, depending on who your snail guy is. Sometimes, you just have to have a bacon cheeseburger, or a brimming bowl of Mac and Cheese. They too are delicious, in their own unique way, although of course too much of them will kill you. Sometimes bad movies are so bad that they are fascinating. Allow me to explain. Writing that column helped me love love love Love Story for the New England cheese-fest that it is. I no longer hate it, and I sleep soundly at night. Bad movies also allow me to be snarky, which I love, and to “figure things out” and “put into words” feelings that are hard to express or quantify. Allow me to explain. In writing that column back in 2011, I was able to accurately predict the future we live in today, during which legions of miserable contrarians—tired of being wrong all the time and frustrated because their small, contrarian brains cannot figure out things like logic or science or statistics or politeness or tolerance—attempt to end their great frustration by foisting their own false reality on our democracy and culture. Writing that column also helped expunge Anonymous from my soul—I did not think about that movie again for seven long years. Neither has anyone else. 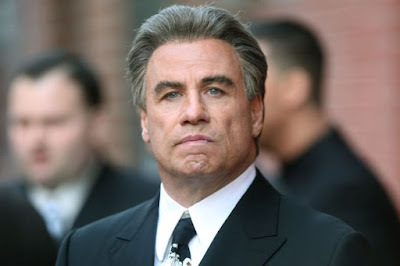 So I sit here, waiting for my turkey and wondering when some intrepid filmmaker will attempt a bad movie hat trick titled Gotti’s Anonymous Love Story. I look down at my desk and see that both AGFA’s Ed Wood opus Take It Out In Trade and Severin Films’ boxset Blood Island Shenanigans have recently been delivered to my door. I savor the thought of the evenings I will spend watching these “bad” movies. It is winter now, so I will throw another log on the fire and enjoy some delicious, delicious cheese. I am thankful for all the movies. I am thankful for my wife, son, and many friends. 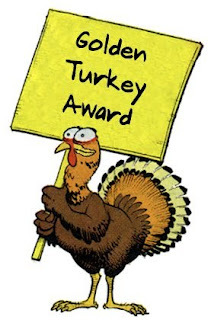 I am thankful for my readers here at F This Movie!. Happy Thanksgiving. I haven't been to my beloved Redbox in about two months, but I think GOTTI might just be the push I need. Thank you, sir. This is my new favorite piece! Love it, JB. This is fantastic, but I think I just learned that my snail guy is ripping me off. Patrick McAllister is right. This is fantastic. It is funny how the "bad" movies frequently give you more to think about (What did I just watch?) than an acknowledged "good" movie.